Tag Archives for " Racheal Cook "
Your marketing isn’t quite getting the results you want. In fact, it seems like the latest “thing” is taking far too long to work. So you decide that what you really need to do is add another tactic to the mix because it just may be the thing that helps you reach your goals. As a small business owner or entrepreneur, does this scenario seem familiar? You’re not alone. We’ve all been conditioned to believe that more is better. More marketing must equal bigger results. Right? Unfortunately, nothing could be further from the truth. Trying to be everywhere and continuously adding to our lineup of marketing tactics is likely working against you. When the focus is simply on adding more marketing to the mix, often it’s simply adding to the noise instead of cutting through to reach your ideal clients. What if instead we decided to try a different approach to our marketing? After coaching thousands of solo-preneurs, I realized the ‘be everywhere’ mindset of more marketing was backfiring for my clients. They were completely overwhelmed with the unending list of marketing tactics and frustrated that instead of doing what they loved, they were spending all their time marketing! Our solution? Do less and do it better. By focusing in on their business sweet spot, we can determine the right marketing strategy for their business. When your marketing is in alignment with your business sweet spot, suddenly you’re playing to your strengths. 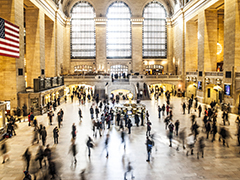 It’s a “lean” approach to marketing mashed up with leveraging your zone of genius. The average small business owner uses multiple social media channels, along with any combination of email marketing, blogging, podcasting, video, search engine optimization, and the list goes on and on. The reality is that few of us can do all of these things well, and we’re diluting our results when we’re spread too thin across strategies. Take some time and make a master list of everything that you’re focusing on in your marketing. Then look at each one with a critical eye to determine if they are working for you. Keep this objective! Can you tie your strategy back to a measurable result? Having a large follower count on Facebook doesn’t matter if you aren’t able to convert that number into relationships and ultimately, sales. One of my favorite ways to check in with my marketing strategy is to think through your top clients from the past 6 months. Simply making a list of your top 10 clients, then asking “how did they find me?” can cut through the confusion quickly! In fact, despite being an online business, I’m amazed that over 50% of my private consulting clients come from a personal referral. Now I spend more time focusing on nurturing referral relationships! When reviewing your list, see if you can cut it down to the three most effective things. Then assess if you can let the rest go. You may quickly find ways to trim the fat or at least open up your eyes to gauge the real ROI on your marketing activities. We all come to the table as business owners with our own unique set of skills, experiences, and personality traits. Some of us are at our very best in the maven role where we can build a large platform and shine on stage. Others may do their best in more intimate small group or one-on-one situations where they facilitate meaningful change and mentor clients. There is no one-size-fits-all marketing strategy. As a complete introvert, I’ve found that attending large events or conferences completely stress me out. Instead of feeling excited, I feel depleted. It takes days for me to recover! Not the best strategy for me – my marketing is much more effective when I leverage my strengths as a writer and teacher. On the other hand, one of my colleagues adores attending events. She always makes great connections and walks away with new clients for her corporate consulting work. But spending most of her time behind a screen? Just the idea of an editorial calendar makes her feel restricted. Not sure where you shine? Think about what your clients and community most thank you for. Alternatively, consider where you are most energized and what type of work you most enjoy. By tapping into that information, you can find clues that tell you how to best focus your marketing. Look at where you shine. Compare it to what’s working. You’ll likely find a clear pattern connecting the two – that’s your Sweet Spot! That’s where you should focus the bulk of your marketing time and energy to get the most powerful results. By working in your sweet spot, you can jump off the marketing hamster wheel and say yes only to those marketing activities that are most aligned with what best works for you and your business. What things have you found that are in your marketing sweet spot? What activities is it time to let go of? Share in the comments below. Racheal Cook, MBA is an award-winning business strategist who believes entrepreneurs can grow their dream business while living their dream life, right now. 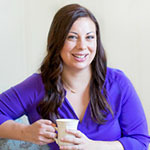 You can connect with Rachael and get more of her mindful marketing advice by joining the Fired Up + Focused Challenge.